Halloween is almost here and you still don't have a costume? No worries! HOUSTON — A lot of stores have already packed away their Halloween stuff and replaced it with Christmas. But what if you still don't have a costume? No reason to panic. Just head to your neighborhood Goodwill "BOO-tique." 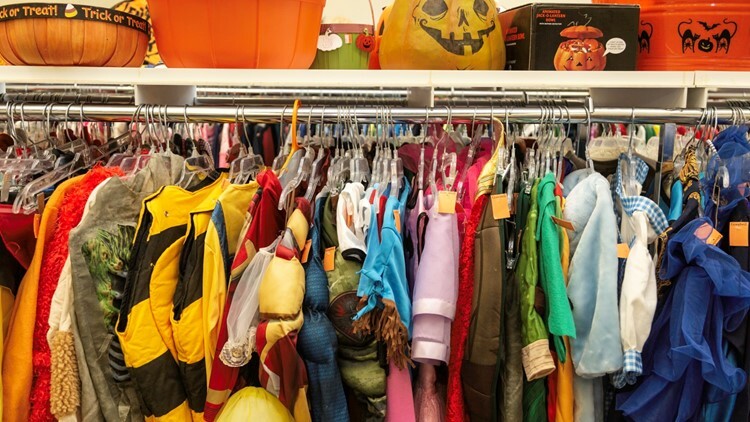 Most Goodwill stores have children and adult costumes available for a lot less than retail stores. Or, if you’re feeling creative, you can browse the aisles and build your own unique costume from Goodwill clothing, shoes, accessories – even wigs. Houston stores even have official “costume helpers” to give you ideas and help you find what you need.